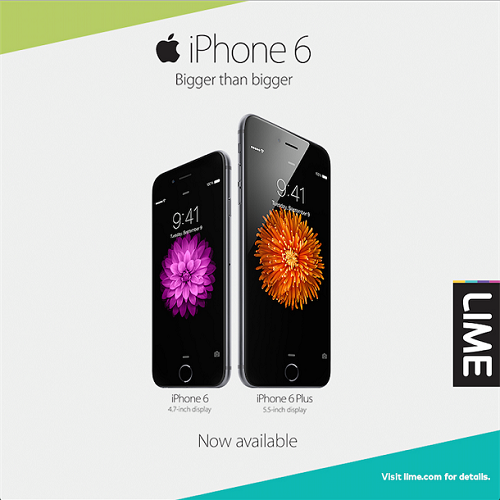 LIME is the authorized carrier in the English-speaking Caribbean of the Apple iPhone 6 and iPhone 6 Plus. The iPhone 6 has been rolling out worldwide in various markets after debuting in the United States on September 19th. The phone arrives just in time for the holiday season.